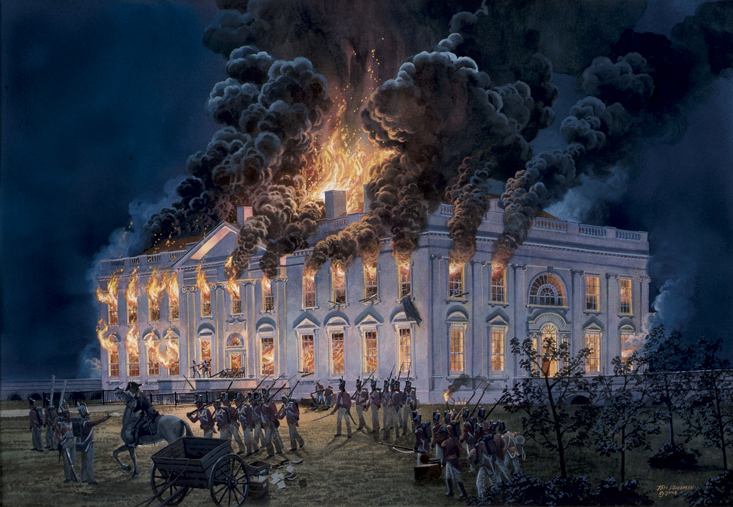 Is Obama Looking to Burn Down the House? President Obama is a sore loser. He lost big on election-day 2014, even though he has said that it was not a rejection of his policies. Everybody but those in the Democrat leadership and media sycophants knows better. Obama, however, being the sore loser and narcissist that he is, will not stop with his unconstitutional and damaging policies. He will use what’s left of his presidency to push through his agenda. The most dangerous period is the time before the new Congress is sworn in. Obama would rather “burn down the house” than follow the will of the people and the Constitution. He’s never had neither the nation nor the American people in view. He’s only had himself. Even the Democrat Party is of no concern to him. There’s a good chance that he is a self-realized Manchurian Candidate. He has it in for America. He will move ahead in the destruction of the coal industry. He’s lost West Virginia to the Republicans. The state is no use to him. He fought energy independence. The Keystone Pipeline is a no-brainer, and yet he opposed it at every turn. Obama will go ahead with amnesty. This is the best way to dilute America’s founding principles. La Raza – “The Race” – will supplant what made America the envy of the world. “President Obama repeated Sunday that he intends to change U.S. immigration law through executive action, over Republican leaders’ repeated requests to wait and dire warnings about the consequences of sidestepping Congress. If burning down the house is the objective, objections have no relevance. This is not to denigrate all immigrants, but our existing welfare system, created by unconstitutionalists from both political parties, will turn the United States into a breeding ground for government dependency. America will become another socialist State. “A record 20% of American households, one in five, were on food stamps in 2013, according to data from the U.S. Department of Agriculture (USDA).” That’s more than 23 million households. I suspect that even Democrats are dismayed at the direction President ObamaEric Holder, has taken. His radical agenda has sullied the Democrat Party. They now realize that he never had the Party’s long-term future in mind. Obama has a vendetta against America. Obama’s choice to replace Eric Holder may be a change in style, but it’s not a change in policy. Voter ID laws apply to everybody equally. If everybody is required to show an ID before voting, like every person has to show an ID at a bank or to get on an airplane, then how is that those who are voting to put people in power don’t have to show an ID? This makes no sense unless there is a political agenda in view. Don’t think this latest election changes everything. Not only do we have to deal with the lame duck Congress, executive action by the President, but a Republican Party in transition. We need to stay engaged. One battle does not mean the war has been won. Update: we’ve just learned that President Obama is going to pursue “Net Neutrality,” which in government terms means regulation of the Internet to force equality. Once the government gets its hands on something, its grip will be on everything.